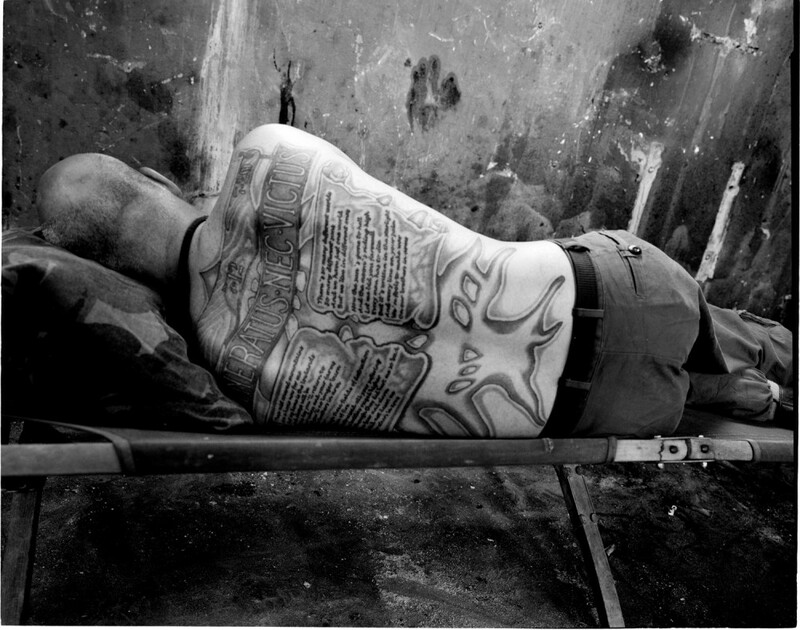 For me as photographer, to show the impact of war has become a most important mission. Hoera!! 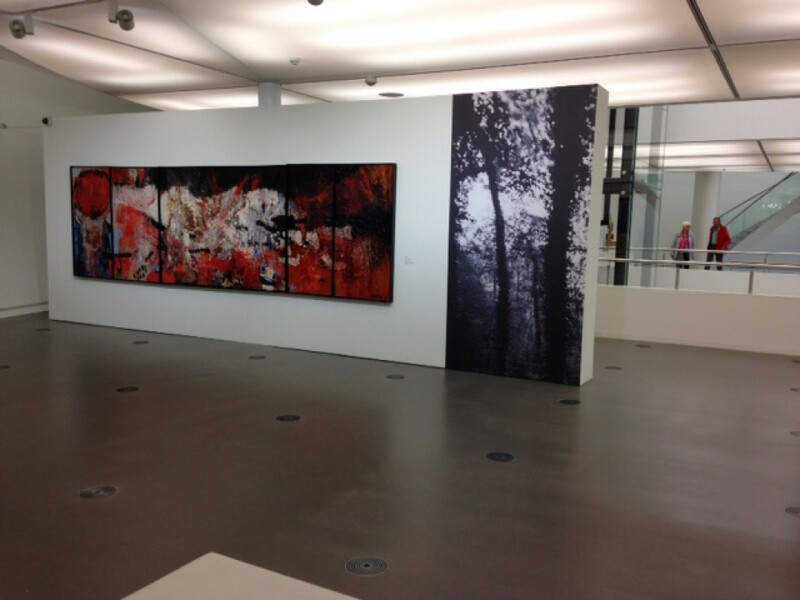 Claire Felicie - Only The Sky Remains Untouched is geslaagd! Dankzij 124 donaties die samen € 6.595 opleverden voor Claire Felicie. The men and the woman I portrayed for the book I wish to publish, want to forget the things they've seen in war, but they can't. As young soldiers they were sent to war zones where they experienced things that we, who stayed at home, know next to nothing about. Many years have passed and war still torments their souls. We are all well aware how war may result in physical injuries. The possibility of becoming mentally wounded is lesser known. For this book I want to publish -Only The Sky Remains Untouched- I use photography, interviews and imagination to represent these mental wounds: this inner war still going on. This book, for which I kindly ask your support, will pay homage to those war veterans who bravely keep on battling their inner wounds. They’re working hard toward their recovery. 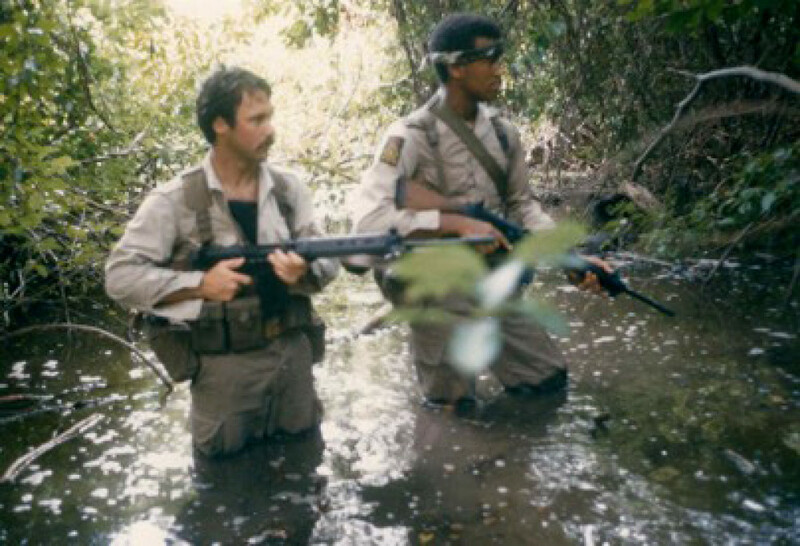 To face their traumatic experiences might in the end prove the toughest of missions. Please let their stories be seen and heard, for Post Traumatic Stress Disorder (PTSD) to be better known, understood ánd treated. Thank you for helping me to show and tell their stories. Marie Louise Tiesinga, former senator, former consultant and supervisor on veterans’ health care for the Minister of Defence. All photos were taken at the former military terrain and weapons factory De Hembrug, Zaandam. The book comes in a very special design, made by Sybren Kuiper. It has a soft cover, 68 pages, and is limited to 700 copies. Om Claire te helpen het boek uit te brengen voor al mijn collega veteranen en vooral voor de veteranen in het boek. Dear backers, the exhibition is arranged and the book is printed! I hope to see you all at the book launch on Friday the 21st of October at 1.30 PM. Cordially invited! Dear backers, I'm very happy to announce an upcoming exhibition and book presentation at the beautiful museum De Fundatie in Zwolle. 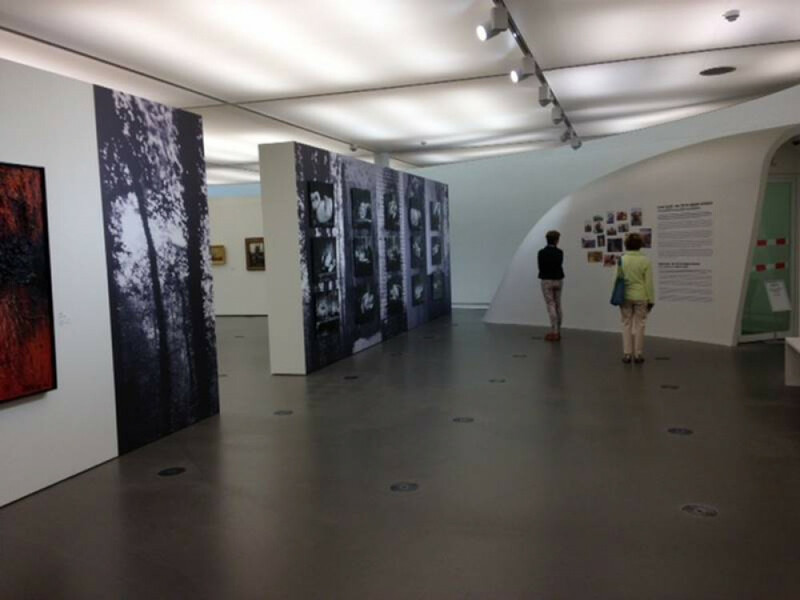 Photos from Only The Sky Remains Untouched will be on show from October 1/2016 till January 15/2017. The book launch party is set on the 21st of October. I hope we will meet up in Zwolle on the 21st to celebrate this event together! An invitation by email will follow soon! I feel overwhelmed..With 38 hours to go, you've brought together an impressive amount of 6370 euros! Only 130 euros left! Thank you all so much!! I trust we can collect those last euros as well. And there stood I - brilliantly alone"
efficiently. Other competent word would be: Frustration. "We had to go on armed foot patrols during the day and during the night. 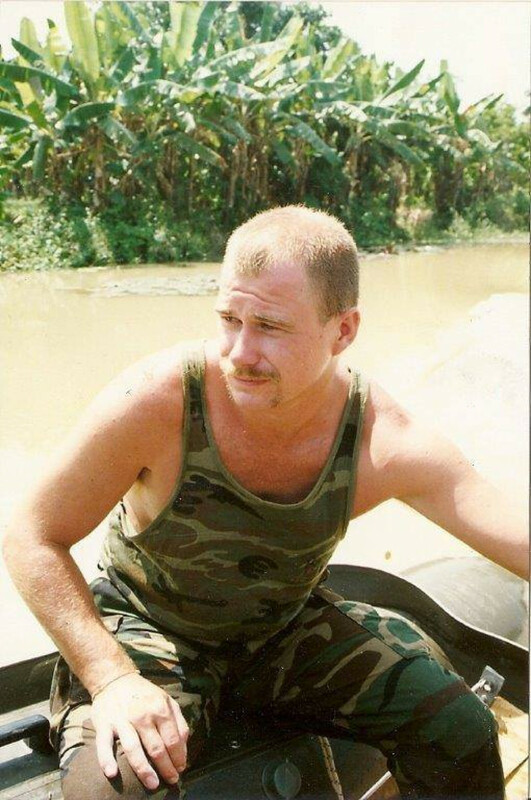 Meet Rob, who served in Cambodia in 1992 and in Bosnia in 1995. One of the most compelling documentaries about soldiers and the aftermaths of war is Heddy Honigmann’s ‘Crazy’ (The Netherlands, 1999). In this film she asks soldiers about their favorite song during their deployment in a warzone. While the camera is on their faces, the music is to be heard. When I asked the same question to Rob, he came with this same song ‘Crazy’ by Seal, while he added: “Take a look at the clip on Youtube with images of the Bosnian war. I must warn you: they might be very disturbing”. And yes, these images are indeed very disturbing. They make also clear what all the people involved in this crazy war had to endure. “The horror..the horror” to say it with Kolonel Kurtz’s words in Coppola’s iconic film on the Vietnam war: Apocalypse now. Dear backers, we're still going strong! With 12 days left, we've reached 66% of our final goal. Please keep spreading the word! Thank you! 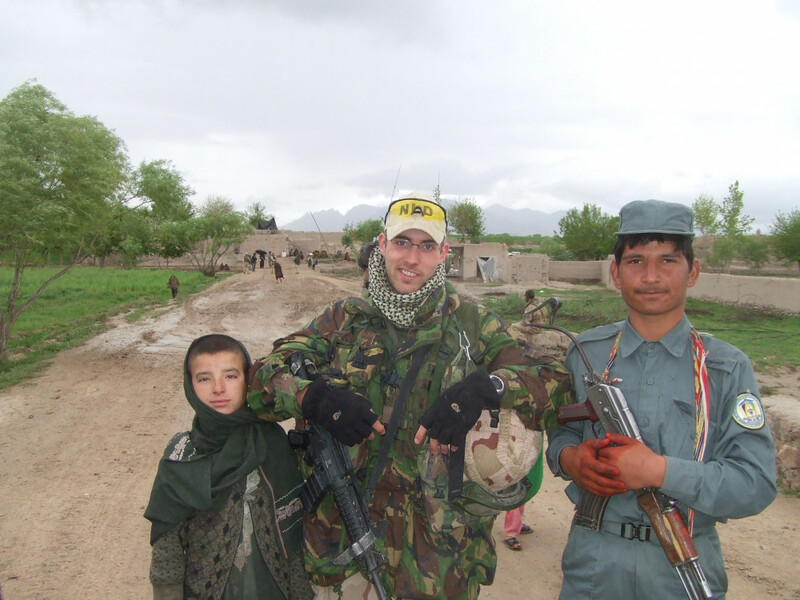 Meet Dominique: a Signal and Communication specialist during his tour of duties in Afghanistan in 2007 and 2009. Dominique served also back in 2003, in Bosnia-Sarajevo. 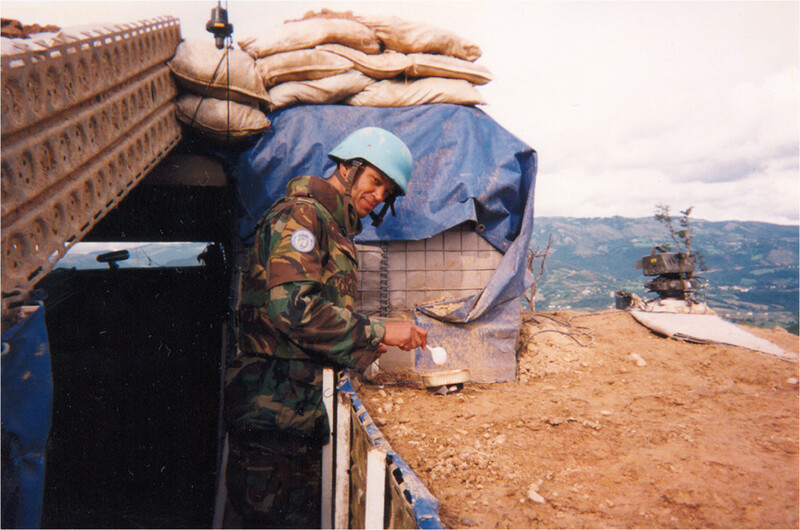 When Dominique was in Uruzgan, he had to build up a radio post at Camp Machal in the notorious Chora Valley. He stayed there for three weeks whereby most of the time a handful of Pringle chips was what he had for breakfast, lunch and dinner. His unit couldn’t reach him for food and water supplies. Fortunately for him, there was a platoon of eight Australians who shared some of their food and water with him. Nevertheless, he suffered intensely from hunger and thirst. 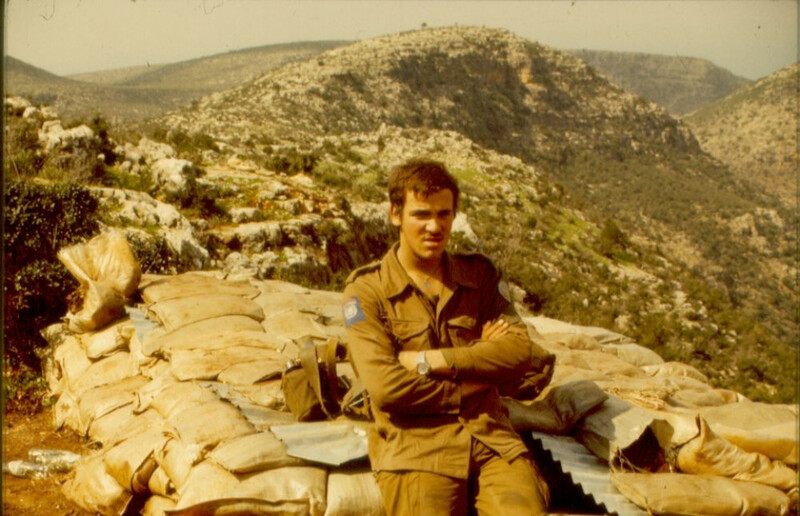 When he was finally picked up by a platoon of the Airmobile Brigade and was brought to his base camp: Camp Mirwais in Chora, he had lost 40 pounds and was immediately put on a drip not to dry out completely. Thanks to you my dear backers, we have reached 56% of our final goal after 23 days: that’s really great! A special thanks goes to the Marines’ Business Club who’ve made a donation for a reading. I’m looking forward to this event very much! But we still have 44 % ahead of us, so please keep up the good work: keep on sharing the project with as much people you can. Thank you very much! Sometimes people ask me where my interest in soldiers and war comes from. Apart from coming from a family with a long history of military service, this interest grew even bigger because of my acquaintance with a guy who is now my husband for almost 30 years. His father, a former soldier of The Royal Dutch East Indies Army (KNIL), got captured by the Japanese during WWII and was forced to labor on the Burma Railway. He suffered from nightmares and sudden aggressive outbursts. I was a little afraid of him because of this unpredictability. Once in a while he did make some remarks about his experiences, but they were so horrible that no one knew how to answer. He sometimes left his family and went away for days. Whereto exactly nobody knew. An in depth conversation with his family about his experiences never took place. 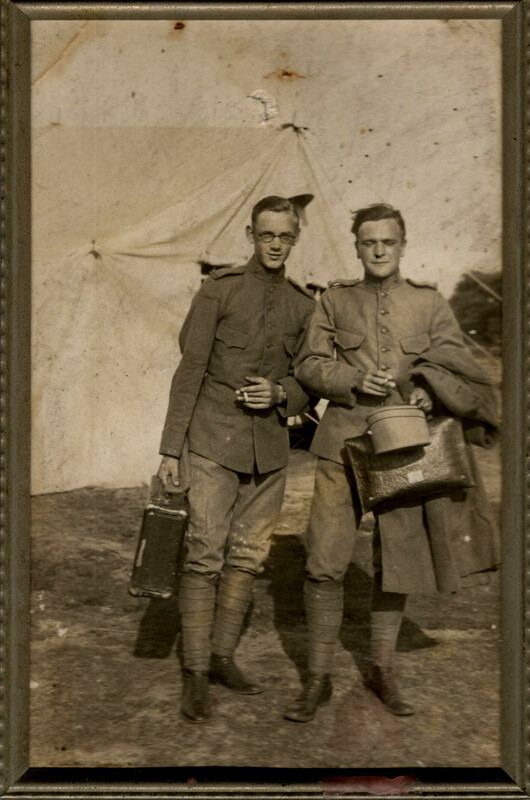 It was common not to share your traumatic experiences with anyone; only perhaps, with your comrades. He died in the early eighties at the age of 67. Rest in peace, father of my beloved husband and grandfather of my beloved children! The man on the right is my departed father in law. In this picture, he is about in his early twenties. Dear early backers! We are nearly one week on our way and we have already reached 18% of the total goal. So that's really really good! Thank you so much for your early support! In the coming weeks I will keep on posting some photos from the veterans of the book with little background stories. Hope you appreciate that! 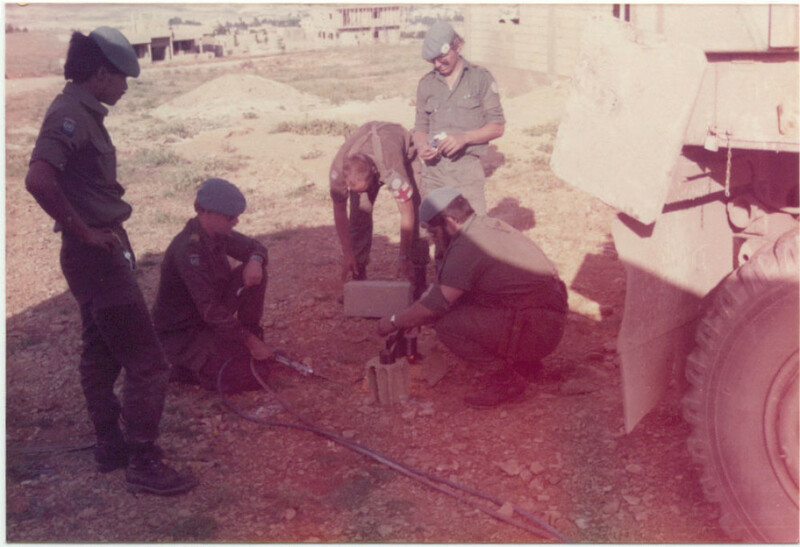 To illustrate the idea of the 'Going on a field trip' which was a widespread public perception of the Lebanon-UNIFIL mission among the Dutch civilians at the time, a band named 'Bots' made this song (in Dutch) in 1979 with some cynical lines as: "We are on our way to Lebanon, with sun oil and a cannon." 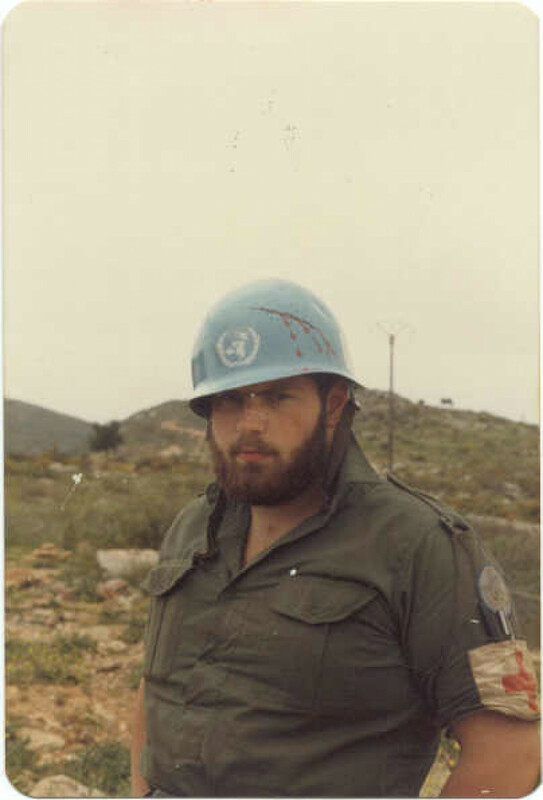 The situation at hand was often unclear and obscure to all the participants during the UNIFIL mission in Lebanon. 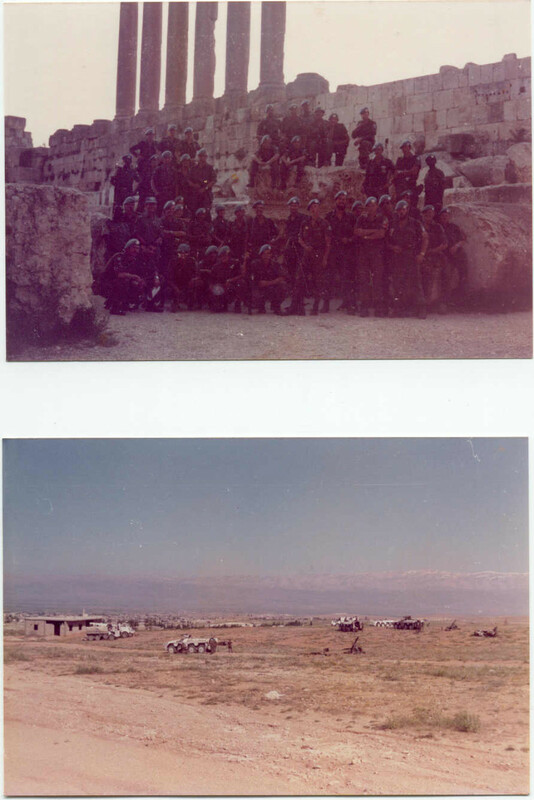 For example: these photos show Dutch soldiers in the Beeka Valley in 1982 (send to me by Frank- thank you Frank!). 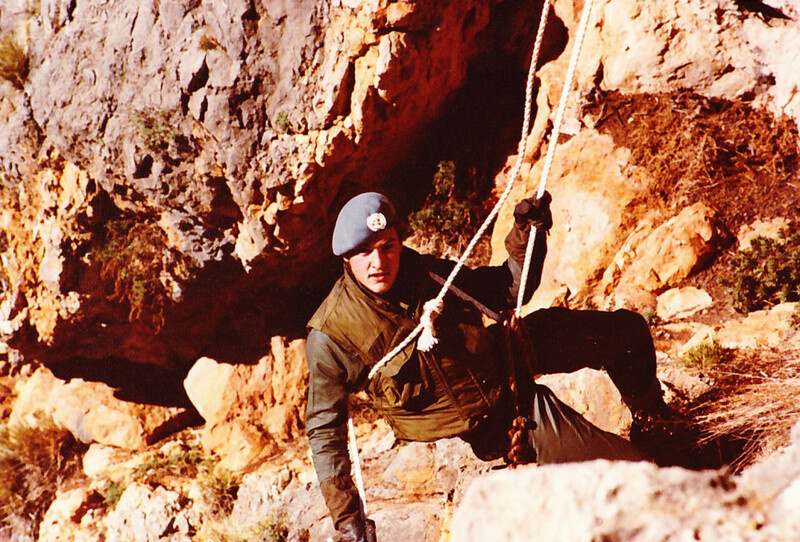 Although these photos prove otherwise, the Dutch government denied their troops to have ever been in the Beeka Valley in Lebanon until the year 2000. 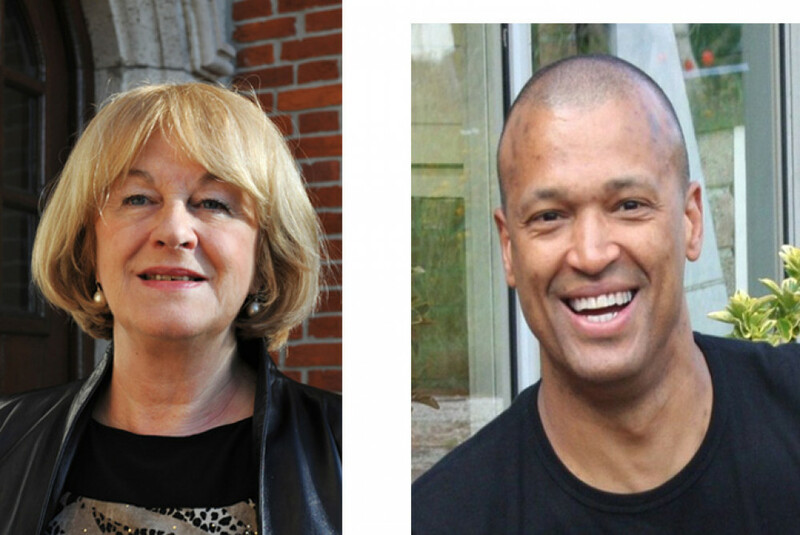 In the following weeks I will introduce to you the brave veterans who participated in the book. 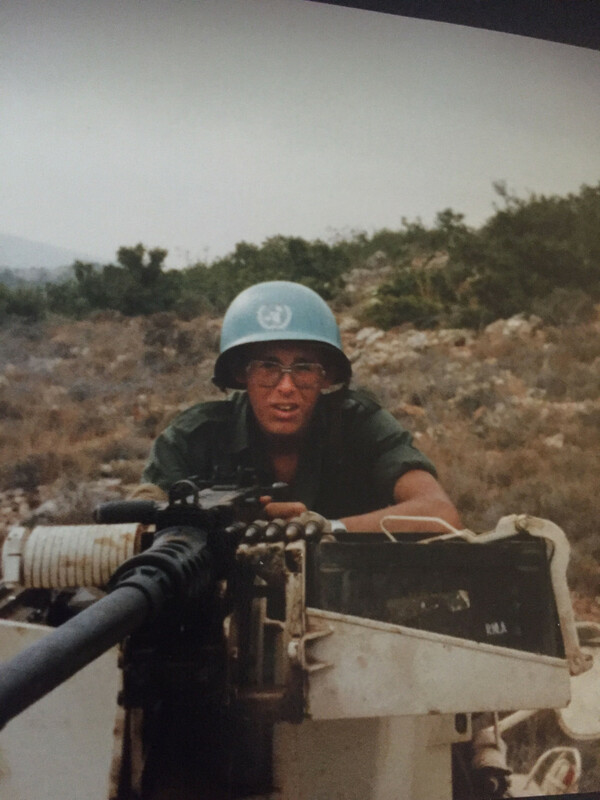 Meet Eric: he served as a medic in Lebanon in 1979. And although his deployment was for 6 months, he was 'forgotten' by his superiors. He stayed for 4 months more. Together we joked about it: "Eric was not 'Gone but not forgotten' as they put it, but the other way around: 'He was forgotten, but not gone' "
Vanwege de bevlogenheid van Claire om veteranen voor het voetlicht te halen. En zij verdienen aandacht, waardering en respect! "Here are the young men" maakt mij heel nieuwsgierig aangezien ik veteraan in nabije omgeving heb. 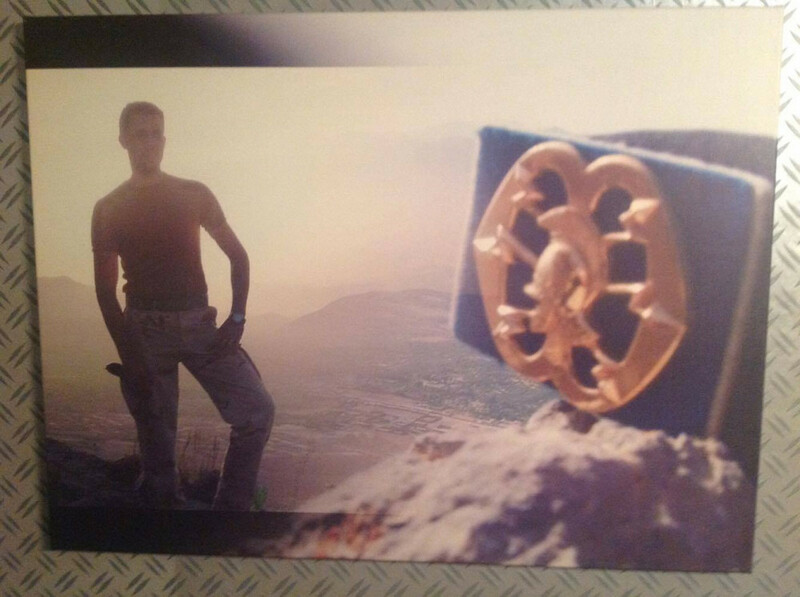 Het is goed dat de problemen van veteranen onder de aandacht worden gebracht met deze mooie foto's. Omdat ik mij verbonden voel met mijn collega's bij de krijgsmacht die zich waar ook ter wereld (hebben) in(ge)zet(ten) voor vrede en vrede. en 75 andere donaties zonder motivatie. I’ll send you a handwritten thank you postcard! You’ll get a signed copy of the book + I’ll send you a handwritten postcard as well! 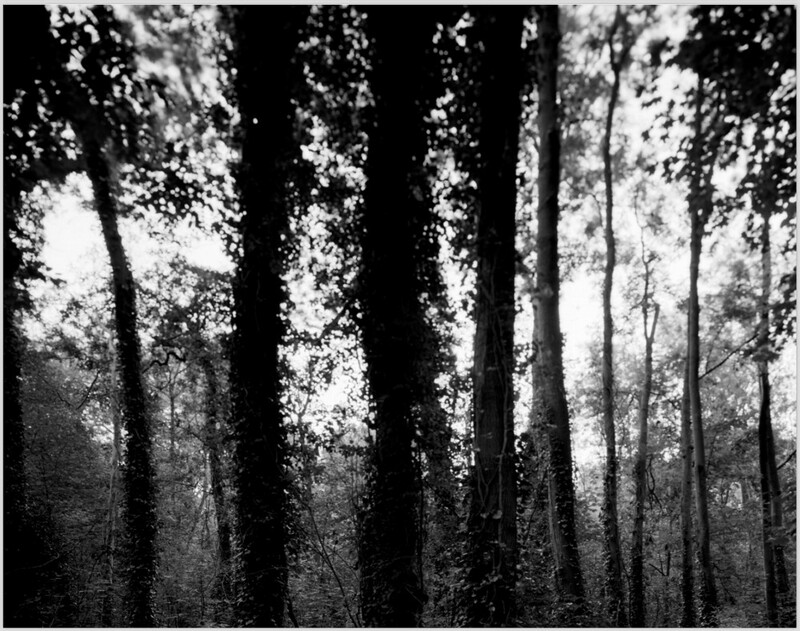 You'll get a print I've made in my darkroom (A5: ‘Rick-Libanon’ or ‘Shock Forest-Trees’) + a signed copy of the book + a handwritten postcard!